There are a few things to setup for a new TV. 1.) Plug in the power cord. 2.) Insert batteries in the TV remote. 3.) Power on the TV. 4.) You need to consider doing a channel scan for over-the-air broadcasts. 5.) Get to know your TV remote and on-screen menus (MENU button). 6.) Set the time and date on the TV. 7.) For internet capable TV, setup wired or wireless connection. 8.) Adjust contrast, color hue, brightness levels to your satisfaction. How to connect external speakers if your TV only has an optical audio output and you do not have a surround sound setup. How you connect a device depends on which outputs the device has and what inputs are available on the HDTV or Audio/Video Receiver or both. HDMI is the connection of choice for high definition video and audio. So if possible, connect using HDMI. HDMI outputs are available on Blu-ray players, some DVD players, HD cable TV boxes and HD satellite TV receivers. HDTVs will have from one to as many as six HDMI inputs with four being about average. Use an HDMI cable to connect the HDMI output on the source device to the HDMI input on the TV. HDMI will give you high definition video and audio. An HDMI cable costs about $10. Don't pay $30 or $50 for an HDMI cable at a retail electronics store. Use HDMI cables to connect high definition devices to the HDTV. Select the HDMI input on the HDTV for the device you want to use. What if I run out of HDMI inputs on my TV? Answer: Use an HDMI switch box or an audio/video receiver with multiple HDMI inputs. Remember to select the proper input (source) on the TV using the TV remote. The older RCA inputs are still available on HDTVs but are fading fast. For standard definition devices such as a VCR, older DVD player, Wii video console or standard cable box, connect using a yellow video cable (RCA) and white audio cable matching the colors on the cable with the jacks. Most HDTVs have several inputs to connect many devices. If you have more devices than TV inputs, then a switchbox can solve this issue. Switchboxes come in many flavors, so get the one that matches your needs. Audio Video switchboxes can be combined so that the output of one is the input of another giving 3, 6, 9 or more devices connected to a single TV input. Connect DVD players, video game consoles and more. Component video and HDMI switchboxes are also available. 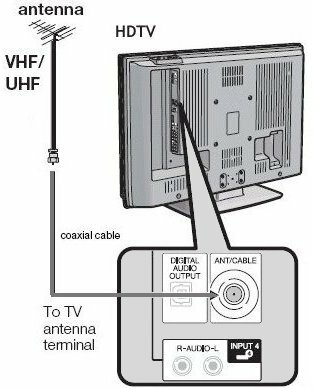 If you get your TV from local broadcast TV stations, you need an antenna connected to your HDTV RF VHF/UHF antenna input jack using RG-6 coaxial cable. The input jack is round and usually silver with a screw-on thread. Your HDTV has a built-in digital TV tuner for digital TV stations so no decoder box is required for over-the-air channels. Select on the TV using the TV remote, the antenna input. Press SOURCE or INPUT select on the TV remote and navigate to the proper input source. Local TV can be some of the best high definition video you can get, better than cable TV. Most TV stations can broadcast multiple standard definition programs. Visit www.tvfool.com to see your local TV stations. Indoor TV antennas will work if you live in a city and are within 20 miles of the TV transmitter. Otherwise an outdoor TV antenna is best. 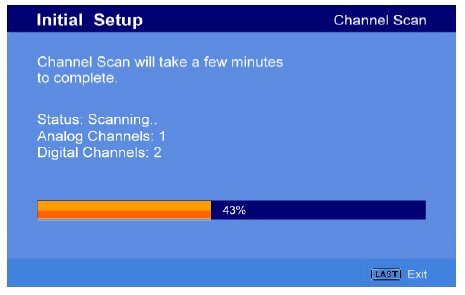 Usually you need to perform a channel scan on the TV to setup the channels you can receive over-the-air. MENU, Setup, Channels, Choose AIR (not CABLE) then start scan. Wait until scanning is done. Most people have a cable TV box or satellite TV box for tuning in their pay TV channels. If this box is High Definition capable, you can view HD shows on your HDTV. If it is not, you can still view TV shows on the HDTV, just not in High Definition. Today, to connect your Cable TV or Satellite TV decoder/converter box to your HDTV, you will want to use a component video cable setup or an HDMI cable connection for HD. Both perform well for HD video. HDMI uses only a single cable, where component video uses 3 cables for video (green, blue, red) and 2 for audio (white and red). 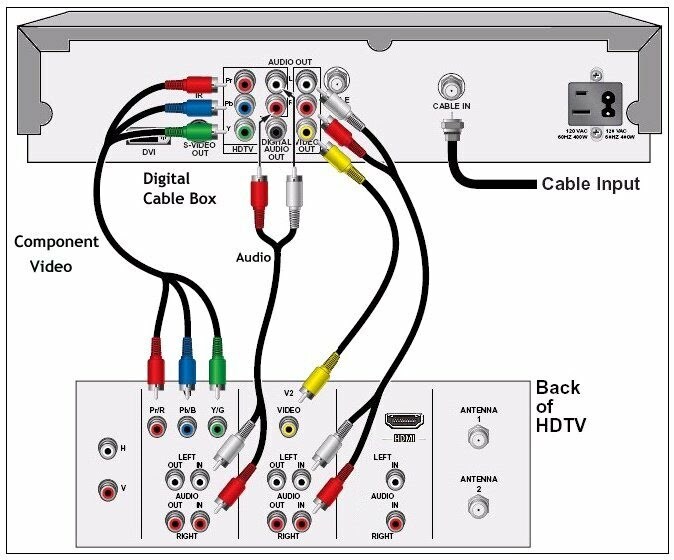 Component video is High Definition capable and has 3 video cables, green, blue and red, and for the sound, you also need two audio cables, red and white. 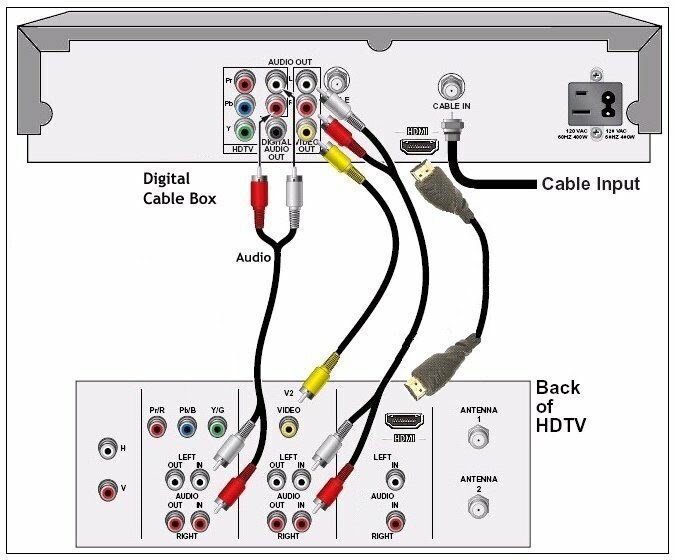 If your TV is not an HDTV but the TV has RCA inputs, then connect the yellow video and white and red audio cables as shown. Hookup Diagram showing OPTIONAL Audio connections. You can connect the two audio cables (white and red) so that you take advantage of the richer sound produced by a stereo amp or receiver. Use the AUX input jacks or the CD input jacks on the stereo Amplifier and select this function on the Amp. The Amp could be a soundbar. See below for "How to add great sound to HDTV". Surround Sound is available from some TV shows. For this hookup you need a digital audio cable. See below for surround sound connections. Some cable TV and satellite TV boxes have HDMI outputs. If yours does, then you can use the all digital HDMI cable hookup. HDMI is capable of carrying high definition video (720p, 1080i) and up to 8 channels of digital audio. The sound portion of TV programs today is often overlooked but is very important to the programs enjoyment. With digital programming from satellite and cable TV providers, often the program is sent with surround sound. You have several options when deciding how you want to listen to the audio portion of TV programming. More and more the HDTVs are getting thinner and thinner and soon there will be no room for speakers in the TV itself. It will be a display only. Therefore the audio will be sent to an audio processor, which is required anyway for surround sound decoding and amplification. • 2) With HDMI setup, audio is included in HDMI cable. • 3) For surround sound, use a digital audio cable, optical or digital coax, to send the bitstream from cable/satellite box to an Audio/Video Receiver with Dolby Digital 5.1 or more capability. • 4) The newest HD audio codecs require HDMI version 1.3 or higher and a HDMI cable connection from such sources as Blu-ray players to an A/V receiver with the HD audio decoders built-in. These include the newest HD audio from Dolby and DTS. Most HDTVs today have a output jack labeled OPTICAL on the rear panel which is typically black and square shaped. The optical digital audio connection is used in conjunction with the TV's built-in digital TV tuner. An Audio/Video Receiver with Dolby Digital decoding is required to process the surround sound and send to your loudspeakers. 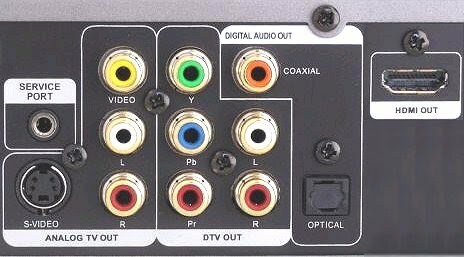 The A/V receiver has an optical audio input jack to connect to the HDTV with an optical digital audio cable. Another option is the external soundbar. These will not give you full surround sound but offer better sound than TV speakers and do not take up as much space as a full home theater system. To hookup a PC/Laptop to a HDTV use a male to male VGA cable and a 3.5mm audio cable. Select the PC input on the TV. Laptop to TV hookup. Standard VCRs and standard DVD players/recorders are not capable of High-Definition video recording although many devices have HDMI up-conversion output which improves the resolution but does not bring it up to HD level. 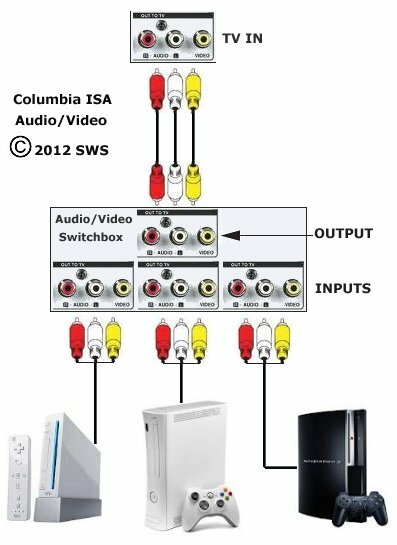 For combo units, use the yellow RCA or the S-Video input for recording. For output there is usually a common RCA out, meaning the DVD or the VCR can use this common output, yellow, white and red RCA jacks. For the DVD only, there is usually a component video output option. Find the similiar input jacks on the HDTV and connect cables. Most cable TV boxes and satellite TV boxes have yellow, white and red outs for recording to VCR/DVD. Blu-ray players should use the HDMI connection to HDTV. 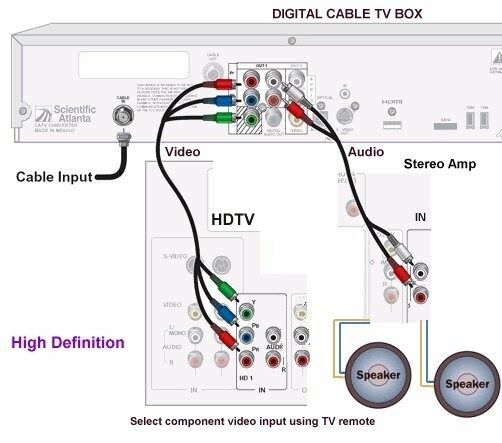 If using a A/V receiver for audio, connect HDMI cable to an HDMI input on the AVR and then another HDMI cable from AVR HDMI MONITOR OUT to an HDTV HDMI input. If your HDTV has limited HDMI inputs, purchase an HDMI switch box with 4 HDMI inputs and 1 HDMI output. Your local TV stations can be received on your HDTV by connecting a good quality VHF/UHF antenna to the RF antenna input jack on the rear of your HDTV. Use coaxial cable (RG-6) from antenna to HDTV. Since cable TV providers and satellite TV providers often compress their signals even more than normal, you may get a better picture from over-the-air TV shows than from pay TV.